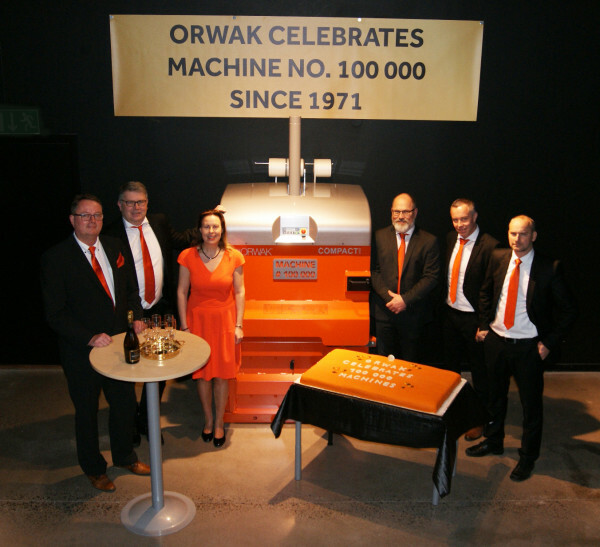 Our Orwak Sweden location celebrates the production of machine number 100 000 in their factory in Sweden since the start in 1971! It is a major milestone in Orwak’s history showing our strength as a worldwide world-class manufacturer of waste compaction equipment. Enjoy this video greeting from the Orwak Sweden HQ and see machine no. 100 000 being born! 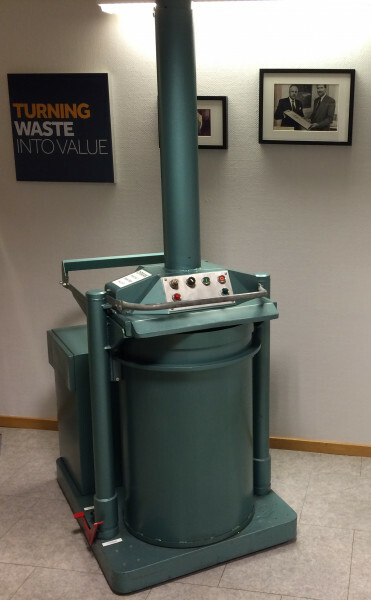 Today, Orwak is a world leader in waste compaction solutions, but it all began in the 70s, when Orwak invented the classic in-bag-compactor 5030, a patented solution that was displayed at major exhibitions and led to an early international success. 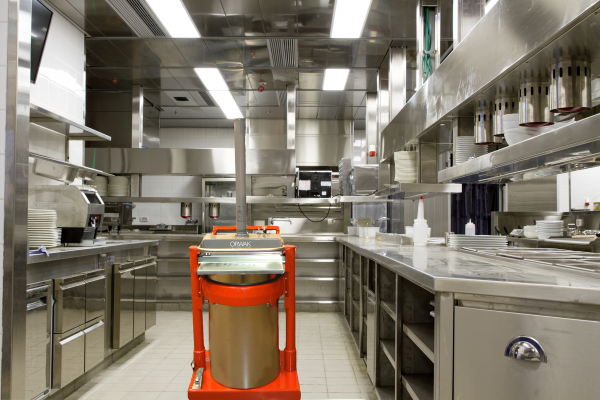 The 5030, in new design, is still going strong and maintains its solid market position in the hotel & restaurant segment. 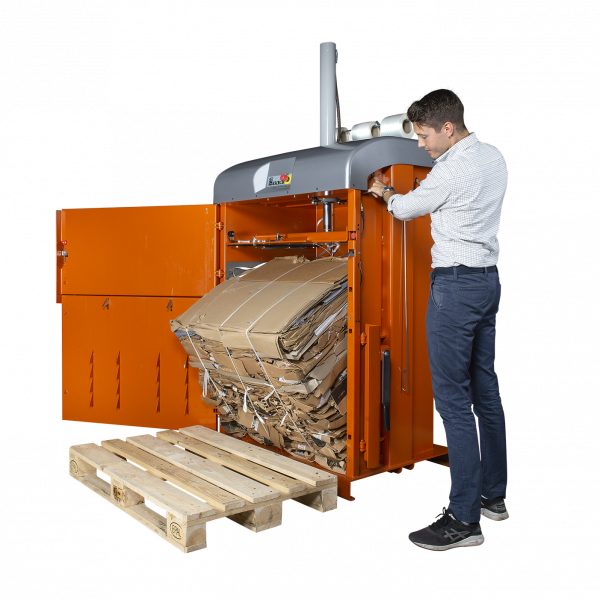 Over the years, the focus in the product range has shifted to vertical balers and automated systems. 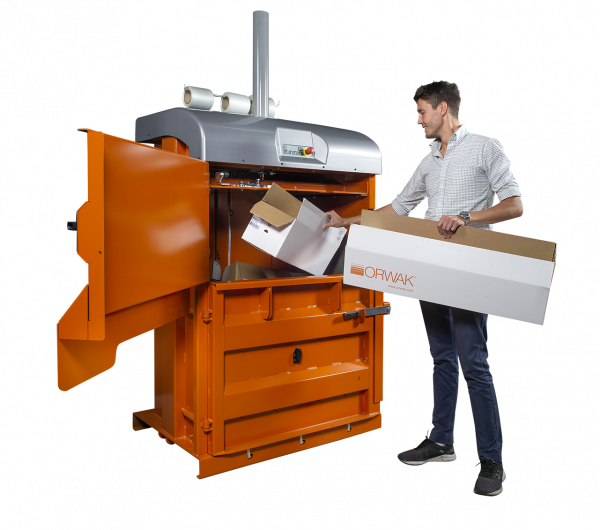 Orwak has always been in the forefront of innovation and develops new concepts and provides the market with innovative waste handling and recycling solutions. Since the beginning in the 70s, the Orwak machines have traveled far and wide and the installed base in the world is substantial. Our balers and waste compactors have reached every continent, even a research station in Antarctica! 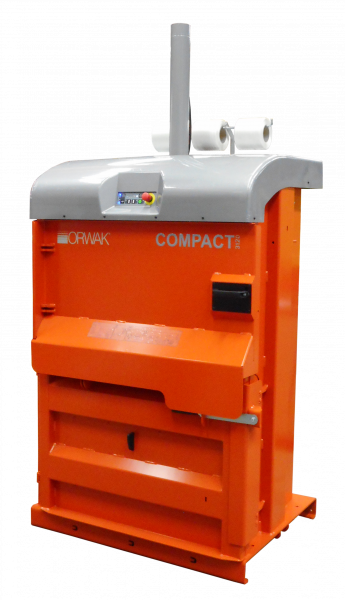 In spring 2018, Orwak launched the newest addition to the product range, model 3120; a baler that offers strong compaction on the spot: compact machine design, yet convincing volume reduction and a bale weight of up to 100 kg. It is part of our new generation of balers with intelligent features and prepared for M2M communication. The launch was a success and it has become a very popular part of the range. Therefore, it is not surprising that machine no. 100 000 is of model 3120 and today, the devoted Orwak team is gathered to celebrate the happy occasion. We are proud of it and all the prior 99 999 successful deliveries since 1971 and are looking forward to many more to come! If you are interested in learning more about the 5030 and other Orwak products, click here to download our product guide.